Heather Morris has written a novel about one of the most improbable love stories imaginable. Ludwig "Lale" Sokolov fell in love with Gita Furman at first sight. That's an old story, but Lale was tattooing Gita the time. 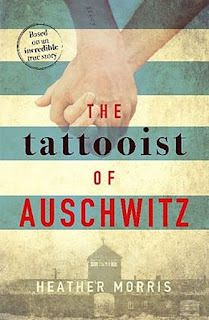 Okay, so maybe that's a modern love story, but this one begins in 1942 and Lale, a Slovakian Jew, was a tätowierer at Auschwitz-Birkenau, one of the very worst of the Nazi concentration/death camps. He was the one who burned Gita's camp number into her arm. Morris tells her tale from Lale's point of view. He, like the reader, is aware that survival in such a house of horrors is something of a crapshoot, but he does his best to improve his odds. The Nazis find him useful, as he is multilingual. As it transpires, he's also crafty. Once he gains access to some of the camp's areas off-limits to most prisoners, he is able to secret away jewels. These he trades with Polish day workers for all manner of goods, including food. He is so good at this that even a few SS guards call upon him to procure items. He also cultivates friendships with the Roma housed in Auschwitz, and with many of the some 300,000 Hungarian Jews that passed through. In today's terms, we might call Lale a "fixer" who makes sure that Gita, her friends, and as many others as possible don't starve or succumb to diseases. He also carries on a carnal love affair with Gita in the camp, a very dangerous thing indeed. He vows they will marry when they leave the camp, a pledge Gita and almost everyone else finds unlikely. To stay alive, Lale must walk a tightrope between doing just enough for others so that they know him to be a good person and don't expose him, yet not so much that his smuggling is exposed. He also needs to avoid the monstrous Dr. Joseph Mengele as much as he possibly can and play a subservient role when he cannot. Although the Lale/Gita love story is compelling, in many ways Lale's networks are more so. World War II narratives often shortchange the Roma (aka/ "gypsies," a now problematic term), but some 23,000 perished during the war, as did an estimated 2 million non-Jewish Poles. Morris gives us a sense of how each group was treated in the camp. To some extent, the Nazis were less brutal to the educated Lale than to Roma and Poles. To be blunt about it, a good tätowierer was harder to replace, though Mengele did castrate one of Lale's colleagues. We also gain insight into how camp networks developed and functioned. Except that it's actually a memoir/novel hybrid. It is based on interviews Morris held with Ludwig "Lale" Eisenberg, the model for Sokolov. She spoke with him numerous times before his death in 2006, and he told her of things of which he had never spoken until after Gita's death in 2003. Why the delay? More than a million people died at Auschwitz. It was the very epicenter of Hitler's "Final Solution" and the site where nearly a tenth of all wartime Jewish casualties occurred. Holocaust scholars speak of "survivor's guilt," a form of PTSD that affected those lucky enough to be liberated. In Eisenberg's case, he also feared being seen as a collaborator on par with the hated kapo, Jews who were the equivalent of slave drivers who did a lot of the Nazis' dirty work in exchange for privileges such as better food and housing. Some would say Eisenberg was on that level. It is easy to find factual flaws in Morris's novel. One scene has him smuggling penicillin to save Gita and that almost certainly could not have occurred. There are numerous other details that Holocaust experts call into question. I'll leave it to them to debate whether these were misremembered 50+ years later or were deliberately altered by Eisenberg. As a novelist, Morris should be given a degree of artistic license. Her goal, after all, is to make the reader care about her characters. She certainly does that with Lale, though Gita is less developed and often comes across as a damsel-in-distress awaiting rescue. That too may be correct, but many of Morris' female characters lack agency. In fact, sometimes it seems as if the only people in the camp who had free will (as opposed to acting with brute force) were Mengele and Lale. It's problematic for any reviewer to criticize a book on the Holocaust. Let me simply say that I can't tell you how much of this novel is factual and how much is the product of Morris' imagination. 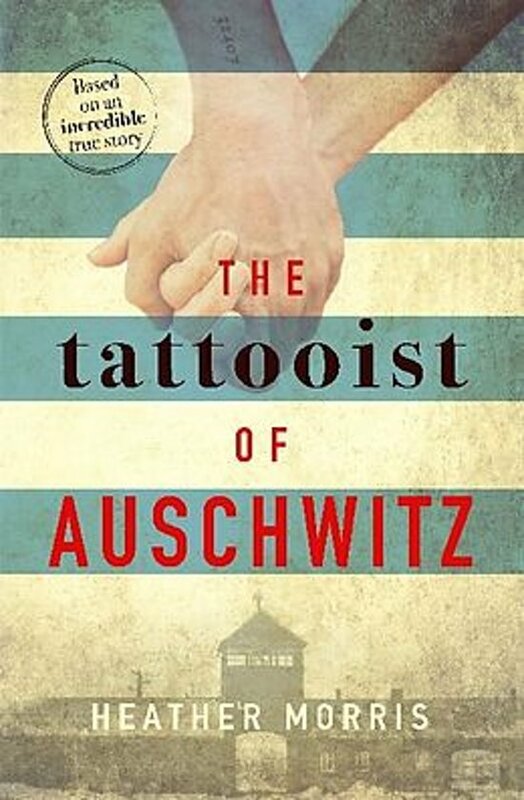 I can say, though, that The Tattooist of Auschwitz began life as a screenplay that didn't fly. Morris then launched a Kickstarter campaign that helped her convert it into a novel. It is her first work of fiction. In that regard, the book is better imagined than written, and even then the arc is episodic rather than linear. Much of the prose is flat in the way that screenplays set scenes and it's up to the actors to infuse the dialogue with drama and color. In this case, the reader is called upon to inhabit the words. My ultimate take is that this is a tremendous story that is competently but prosaically told. It will inform you and make you imagine what you would do under similar circumstances. I won't say there is much literary magic sprinkled upon the pages, but there's enough to keep us turning them.